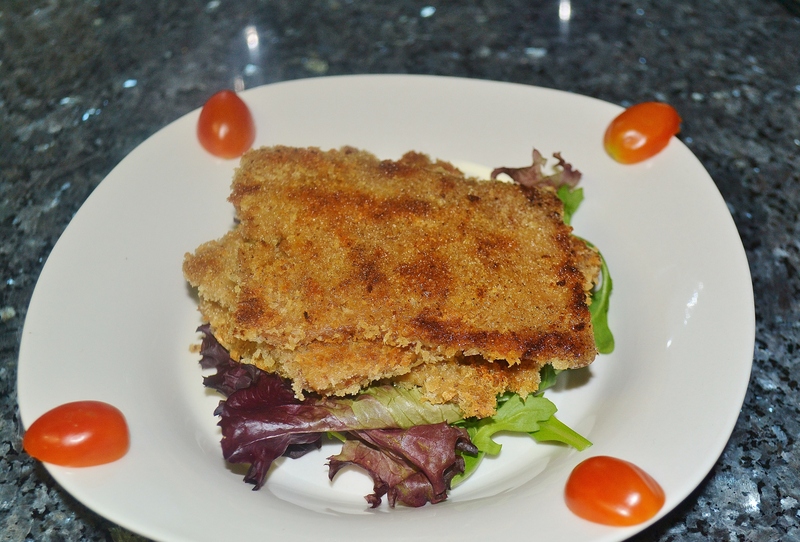 OG milanesa consists of thinly sliced steak breaded and fried to perfection. Nothing fancy. Just simple ingredients placed together to form a simple meal. So how does a vegetarian or vegan get to partake in milanesa? Enter seitan, a wheat gluten meat substitute. Although there are different varieties of seitan sold in markets (some come flavored, others come in chunks or even as a whole block) I used sliced seitan for this recipe. This recipe is pretty straight-forward and does not take long to prepare. I did use a flax seed egg instead of a standard chicken egg but feel free to use any kind you would like. The main use for the egg is to help the breading adhere to the seitan. A couple of minutes of prep time, followed by 10-15 minutes of actual cooking time and you got yourself a great main dish on your hands. And keep in mind milanesa also works as part of a sandwich. Mix flax seeds and water. Let stand for at least 5 minutes. Mixture should thicken and resemble the consistency of a beaten egg. Place flour and crumbs on separate shallow plates. 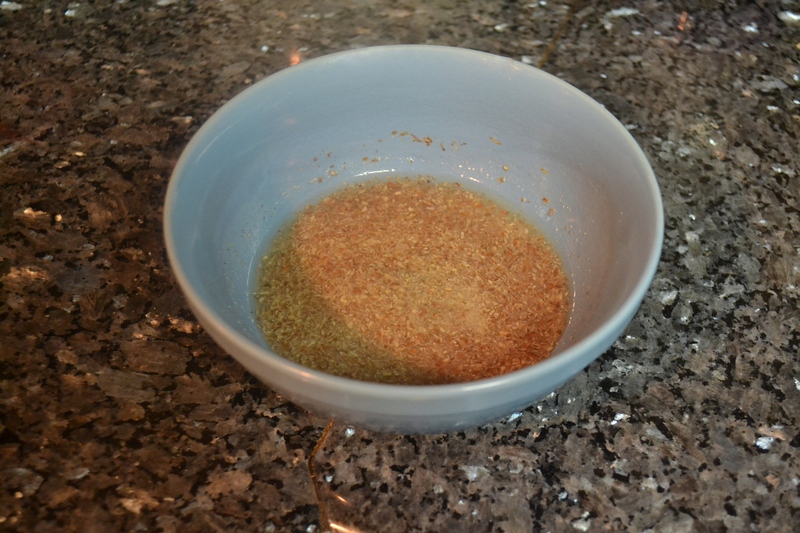 Sprinkle salt and pepper into crumbs and mix. Dredge seitan slices with flour, then place in flax seed mixture and finally coat slices with crumbs. Heat oil in sauté pan on medium heat. 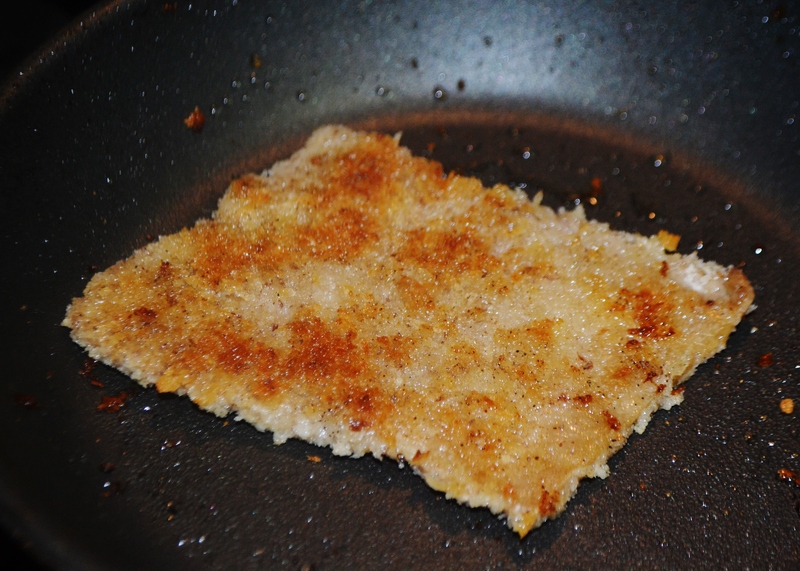 Gingerly place breaded seitan slices in pan and cook for about 3-4 minutes or until a nice golden color appears. Flip over and cook on other side. Place on paper towels to absorb any excess grease. Serve with lemon or vinegar. Yum, yum.